The Starting of the most famous Austrian Band ever! Everything started in a small garage – like most of the great bands – in 1973. At this time the basic members Ewald Pfleger (git. ), Kurt Rene Plisnier (keyb.) and Walter Bachkönig (bass) met for regular sessions and dreamed of the big success and the whole wide world. One of them, Walter, had already experienced a taste of this fame as one of the world-famous “Wiener Sängerknaben” but this might not have been very helpful for the band actually. Besides playing songs from Deep Purple and Colloseum, they started practising their own compositions as well – “Opus Null” (“Opus Zero”). Opus already had their first concerts in Burgenland and Styria (Austria) at this time too. They played rock versions of classical music like “Die Kleine Nachtmusik” and “Der Säbeltanz” and hadn’t really found their typical style yet. That changed when Günther Grasmuck on the drums and Hans Palier joined the band. Unfortunately Hans left the band six years later for the “White Stars” – bad competition. Anyway, they won their first award! – At the Styrian Band Contest. Later on, in 1978, they started organising their own concerts, one of them was the remarkable “Austrian Rock Festival” that is still famous. Furthermore, in the same year, Opus didn’t only improve their style, but their band-room too. – They moved to Rötz 15 in Judendorf, Graz. One year later they thought of an enlargement again and searching for a lead-singer they put an ad into the newspaper. – Bingo! – Herwig Ruedisser answered it and because he wasn’t too bad the rest of the band decided to take him. Opus didn’t give in, they still believed that their dream could come true and the first step to reach their aim was the recording of their first album in 1980. They named it “Daydreams” – because this was their most favourite thing to do actually. It was released on Phonogramm (Wow, quite antique, isn’t it?) and Peter Janda produced it in Hilpoltstein, Germany. It was the first and, at the same time, the last album, that still had an affinity to classical music. Sadly in the same year Walter decided to do classical music only and left the band for good but he was replaced by a new creative and inspired member – Niki Gruber. No one could believe it when the dream finally came true, Peter Mueller – Yeah, the star-producer!!! – found out about our Austrian guys and offered them to produce an album. We all can imagine the answer and so “Eleven” was recorded in 1981 and it was really successful. – Opus received their first gold for it and the singles “Eleven” and “Flyin’ High” became top hits in Austria. Moreover AMA took over the management of Opus. The success went on and on, they played at the Arena di Verona together with Christopher Cross and Lou Reed and in 1982 they received the “Austrian Journalist-Prize” for “Eleven”. In fall of the same year, the sunny “Yellow Fellows” presented their album “Opusition”, reflecting the philosophy shown in the book “1984 “from George Orwell. It’s an ironic point of view regarding supervision and political parties. Eventually they managed to get famous across the borders of Austria with their performance in the TV-show “Auf los geht’s los” (“Let’s get started”) on November 22nd. In 1983 100,000 more than enthusiastic fans visited the 65 Opus-concerts. Moreover Opus were on one stage with Wolfgang Ambros and Rainhard Fendrich (Macho Macho...) at the Oe3-Radio Station-Open Air in the “Weststadion” in Vienna. At this time their records were available - and bought! – in Germany, Switzerland, the Benelux States, Sweden, Italy and Singapore. But Opus wasn’t done yet. In 1984 they released their fourth album “Up and Down” after three months of hard work in the studio with Peter Mueller. Afterwards they went on tour through Austria and Germany and because he thought that the guys from Opus were really great, Falco hired them for his album “Junge Roemer” (“Young Romans”), which made it clear – Falco was an Opus-fan! Some 11 years after Opus was founded, one night God above was in a good mood and he sent Ewald Pfleger the inspiration to write “Live is Life”. Opus dedicated the song to their thousands of faithful and enthusiastic fans in the stadium of Oberwart at their 11th anniversary. The reply to the song was overwhelming. In an amazing speed “Live is Life” went around the whole world and from this day on everybody knew Opus. They were invited to TV-shows such as “Top of the Pops” (GB), Solid Gold and MTV (USA) and they gave concerts in Ibiza, Bosporus, Central- and South America. Moreover they received the “Juno Award” from Canada for the best single production of the year. – The Superstars were born. In the following years Opus continued their story of success. 25,000 fans came to see them in concert in “Opus & Friends” in Graz, Liebenau and the band got gold for “Solo” that was released at their new record company Polygram. Furthermore Opus went on tour through the USA with Stevie Nicks and the singer of Fleetwood Mac. They became more and more well known in the former GDR, CSSR and in Bulgaria. Not enough, they received several awards, like the MIDEM Trophee, all over the world, even in South America. Their records were available everywhere, also at “Tower Records” in New York. They even played on mountain tops. – The “cool” performance of “Rock on the Rocks” on the Kitzsteinhorn in Salzburg was a perfect success. Opus kept on and on playing and singing all over the world. In 1987 their seventh album “Opus”, produced by Eddy Offord, Peter Mueller and Ewald Pfleger, was released in Austria, Germany and the Netherlands. The single “Whiteland” became one of their greatest hits after “Live is Life”. Opus showed their big, big hearts and transferred a huge amount of their royalties to Greenpeace . Furthermore they went on tour again and the Olympic Stadium in Moscow was sold out three times! At New Years Eve then, Opus did a commercial for the Olympic Games in Calgary and the Austrian athletics liked the song “Faster and Faster” so much that it became their philosophy. 2 years later, in 1989, Opus engaged the fabulous Erwin Musper, the producer of “Wind of Change” for the Scorpions, for their album “Magical Touch”. The single “When The Night Comes” was their fourth video, produced by Dolezal & Rossacher, and “A Night in Vienna” was a tribute to their home country and the famous Viennese Waltz. 1991 was a year of great changes for Opus. They got a new label (Dino Music), a new Management (Schreibmayer) and moreover Niki, the bass-player, left the band. One year later Ewald Pfleger produced a new album,“Walkin’ On Air”. The video to the song with the same title was very spectacular because during the making of the video one plane crashed down. Fortunately nobody was injured. Another single from the same album, “Gimme Love”, seemed to have a more fortunate start and was, besides hitting the Austrian Top Ten, internationally very successful. In 1993 Opus had their 20th anniversary. The “Twenty’s A Plenty – Jubilee” was celebrated in the “Orpheum” in Graz and the CD “Jubilee” was recorded live there. In the same year the band played in Cannes at the “Vienna Ball” of the MIDEM. 3 years later, in 1996, Opus released the single “Just for Fun” as one song of their album “Love, God & Radio”. The new philosophy reflected in the song was a combination of the sound of the sixties and the well-known “Opus-ingredients” that together led to a marvellous new sound. Another year later Opus released their new single “Hands in the Air” all over Europe. Furthermore they had appearances at various Austrian and German TV-shows. A big event in that time was their open-air concert in Moskow (Gorki Park) with more than 15,000 fans. Eventually in 1998 Opus supported the “Oesterreichische Sporthilfe” (Austrian sport organisation for the support of athletics) with their hymn “Viva Austria” on the occation of the Soccer World Championship. The single was sold about 30,000 times and therefore received gold in Austria. 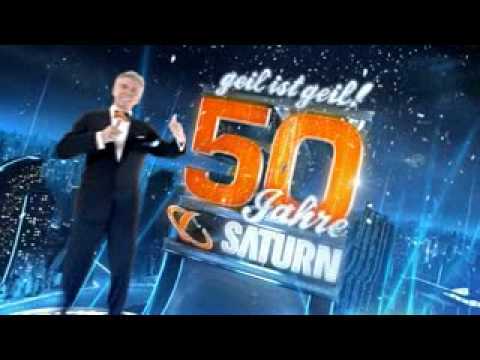 The new millenium starts with a huge TV event on New Years Eve in Berlin, hosted by Thomas Gottschalk. 2002, after a break, Opus is again playing live in Austria, Germany + Italy, this time two drummers of the “studio percussions” ensamble are joining the band and give them more power in the rhythm section. As a product of this collaboration “The Beat Goes On” serves as titlesong of the next studio album produced by Tato Gomez together with the band. One of the concert highlights in those years is a live appearance at the Grazer opera together with a symphonic orchestra conducted by Christian Kolonovits. The live recording of “Tonight At The Opera” is among the 17 songs of “Back To Future”, a “Best O” Album with 5 new recordings and 3 brandnew songs. At the moment Opus are promoting this latest album “Back To Future” that is going to be released on May the 23rd, 2008. They still do numerous live concerts and TV shows all over Europe, one of them is a festival in Paris, at the Stade de France on May the 17th, and that’s for sure, you are going to hear from them soon! OPUS IS STILL KEEP ON GOING AND THEY WON’T LET ANYBODY STOP THEM PLAYING THEIR MUSIC, STILL HAVING FUN AFTER 35 YEARS OF BEING TOGETHER!